Ignaz Philipp Semmelweis was born in Buda in Hungary on the first of July 1818. Nowadays Buda and Pest form a single city (Budapest), but that unification wouldn’t happen for another 55 years. Ignaz was the child of an ethnically German couple, though his father had also been born in Hungary. Twelve years earlier his father József had moved to Buda and set up a store with the whimsical name of “At The White Elephant”. The name proved memorable enough, and József shrewd enough, for the business to be a huge success. József expanded into wholesale grocery and became very well off. In 1810 he married Teréz Müller, the daughter of a local coachbuilder. 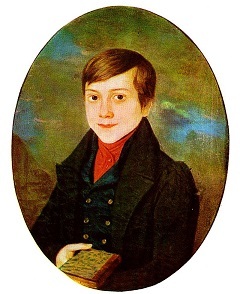 They were well able to provide for their large family of ten children, so it’s not surprising that Ignaz received a top class education and was accepted into the prestigious University of Vienna. 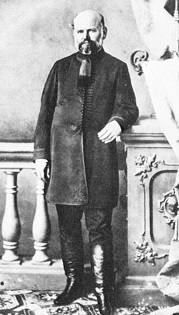 Ignaz moved to Vienna in 1837 and studied law at first, but during his first year at the university he decided to switch to studying medicine. He got his doctorate in 1844 and originally hoped to become a surgeon, but failed to get a place in a clinic where he could specialise in that. So instead he decided to specialise in obstetrics – the medical practices related to childbirth. In 1846 he became an assistant physician at the Vienna General Hospital, the last stage of his training where he would practice under the supervision of a senior doctor. Ignaz became a personal assistant to the professor. Part of his job was to organise the records, and that was where he noticed a significant anomaly. At the time, the leading cause of death in maternity hospitals was “puerperal fever”. This mysterious illness that led to women who had given birth suddenly developing a high fever, suffering organ failure, and dying. Nowadays we know that this was due to a bacterial infection of the reproductive tract, but at the time the “germ theory” which explained such infections was decades away. Instead the causes were generally supposed by medical professionals to be mistakes in diet, changes in pressure on internal organs, “miasms” in the air and any of dozens of other purported causes. 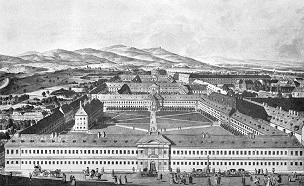 None of these bothered to account for the fact that death from puerperal fever was almost exclusively confined to births taking place in hospitals, and none of them accounted for the poor reputation of Vienna General Hospital’s First Obstetric Clinic. The Vienna Genera Hospital operated two free clinics for pregnant women of the lower classes. This was partially charity, but also had other motives. The clinics had originally been set up to prevent the mothers of illegitimate children from abandoning them or killing them in order to avoid the stigma of unwed motherhood. However they had also been repurposed into training facilities, where the midwives, nurses and doctors could be taught. The poor women in the clinics paid for their care by being subject to the inexpert attentions of these trainees, and the noise and hubbub of their teaching. They were further motivated to attend the hospitals by a social care program offered by the government where mothers who gave birth in the hospitals were eligible for further assistance. The rumours were true – something about the First Clinic was killing the mothers of Vienna. Part of the justification for the clinics was that they would help women avoid complications in childbirth, but the poor people of Vienna soon realised that giving birth in the hospitals seemed to be more dangerous than giving birth at home. The First Clinic had the worst reputation, and women were reported to be begging on their knees to be allowed to attend the Second Clinic instead. Some women even deliberately waited until they were deep into labour before setting out to the clinic, so they could give birth on the way there and still qualify for the state aid for attending the clinic. The hospital administration dismissed this as mere superstition, but when Ignaz started actually comparing the figures he made a shocking discovery. While only one or two percent of the women admitted to the Second Clinic developed puerperal fever, in the First Clinic the number was usually over ten percent. The rumours were true – something about the First Clinic was killing the mothers of Vienna. In order to figure out what that something was, Ignaz carefully worked his way through the possible factors. The First Clinic was where doctors were trained and the Second Clinic was for nurses, but both used identical techniques and equipment, and there was no appreciable difference in how the women were treated. Due to the reputation of the First Clinic the Second Clinic was actually the more crowded of the two, so that couldn’t be a cause. Nor was it something positive that was being done in the Second Clinic, as its rates of puerperal fever were about the same as those seen in home births. Instead it was something in the First Clinic. It was a tragedy that led to the insight that revealed the cause to him. In March of 1847 Ignaz Semmelweis went away from Vienna on holiday to Venice to try to clear his head and stop thinking about the deaths in the First Clinic for a while. He returned to the news that his friend and mentor at the hospital, Professor Jakob Kolletschka was dead. He had been leading a student through an autopsy when the student had nicked the Professor’s finger with a knife. 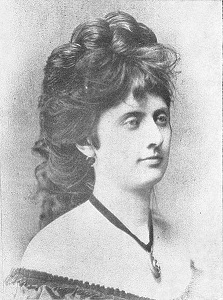 Professor Kolletschka then developed a high fever and suffered organ failure before dying. The symptoms and the results of the professor’s autopsy were, to Ignaz, proof that his friend had died from something very close to puerperal fever. Somehow, the knife that had been used to dissect a corpse had poisoned the professor’s blood and killed him, just as those women had been killed. Ignaz didn’t know (and would never know) that it was the bacteria decomposing the body which caused this infection, but he knew that something in dead bodies was poisonous to living ones. As the student doctors in the First Clinic also took part in autopsies, and would frequently move from one to the other, it was clear that they were often still contaminated with these “cadaverous particles” when they worked on the women. Ignaz’s simple solution was for the students to wash their hands in a solution of bleach between doing autopsies and visiting the maternity clinic. He was fortunate that the bleach (which he choose because it was perfect for removing the smell from their hands) was an effective antiseptic, and he was rewarded for this by a dramatic change in the mortality rate. Almost immediately the rate of puerperal fever in the First Clinic dropped to that of the Second Clinic. Ignaz had solved it. Ignaz’s single greatest mistake, in retrospect, was not immediately publishing his findings. It was perhaps understandable though, as he was a busy man and he thought that the dramatic results spoke for themselves. That wasn’t enough for the medical establishment at the time though, who were still talking about the “four humours” and who thought that disease was spread by bad smells, or “miasma”. They rejected his findings and ignored his evidence as inferior to their “wisdom”. In some cases they even found it insulting to imply that a gentleman’s hands could carry death to a patient. On the other hand, most of his fellow students all saw how effective the practice was and did their best to spread it. Several wrote letters to medical journals describing the miraculous effect the handwashing had shown, though they didn’t include the statistical research that Ignaz had compiled and were dismissed as hyperbole. 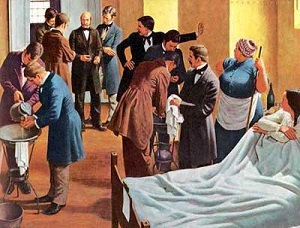 Those who did pay attention often misinterpreted the results to match their own research and preconceptions – for example, the English medical establishment decided that the “foolish Continentals” had rediscovered their own practice of cleaning their hands when moving from an infected patient to an uninfected one. They didn’t understand that the real issue was the bacteria present on their hands from other causes. Soon the poverty-stricken women of Vienna were once again dying in droves in the dreaded First Clinic. Ignaz was further distracted from his discovery by the impact of the political situation on his life. 1848 was the “Year of Revolutions”, when political unrest swept across Europe. A rival doctor named Carl Braun used Ignaz’s poor reputation with the senior staff and his Hungarian origins to block him from getting a permanent position in the hospital, despite the stellar success he had shown in the First Clinic. 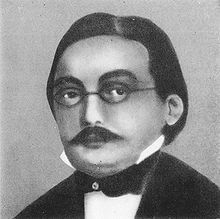 Ignaz was held on a provisional basis for a year and a half, and was eventually in 1850 given a humiliating lower position that forbade him from practising surgery or treating patients. It was clearly meant to force him to leave the hospital, and he did. Meanwhile the powers that be had discontinued the practice of doctors washing their hands in bleach as wasteful superstition. Soon the poverty-stricken women of Vienna were once again dying in droves in the dreaded First Clinic. 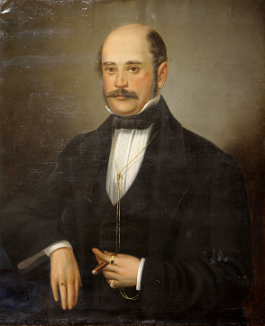 Portrait of Ignaz Semmelweis, by an unknown artist. 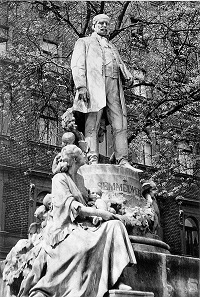 The deaths of those unfortunate women lay heavily on Ignaz Semmelweis’ conscience as he departed Vienna and moved back to Hungary. Despite his Hungarian origins he was regarded with suspicion for his German ethnicity and recent residence in Vienna, and it wasn’t until 1851 that he managed to find a position. He was lucky that his family wealth was enough to support him as the position was unpaid – head physician of the maternity ward at a small hospital in Pest, across the river from his native Buda. He took the job because he knew that he could save lives, and he did. When he arrived at the hospital it was overrun with puerperal fever. Within a few months he had got the rate of infection down to less than one percent. Despite his success Ignaz was unable to convince the other hospitals in Pest to adopt his practices. Partly this was due to his own lack of skill at politics – he was not given to taking fools lightly, and was often blunt in expressing his opinions. Partly this was down to them having their own preconceived notions. The chief obstetric authority in Pest was Ede Birly, professor at the university of Pest. He was convinced that the cause of puerperal fever was “obstruction of the bowel”, so his preventative for it was to ensure that strong laxatives were given to all the patients. Unsurprisingly this actually worsened the infection rates in the hospital, and equally unsurprisingly Birly never actually bothered checking to see if his treatment actually worked. As with so many medical authorities at the time, he knew he was right, so why bother checking? The obstinate Birly died in 1854, and Ignaz applied for his position as professor of obstetrics at the university. So did his old rival Carl Braun. By this time Braun was considered the European authority on puerperal fever, and had published the accepted textbook on it which listed thirty separate possible causes. Of these, he considered the main cause to be “miasma” – literally, bad smells. To combat this he recommended ventilation systems being fitted into hospitals. It was this which he used to explain the reduced number of infections in Vienna which had actually been caused by Ignaz’s handwashing, though he didn’t bother pointing out that stopping the handwashings had brought the rates back up again. Of course, the reputation and credentials of Braun made him the leading candidate for the job, and he was voted into the seat by the university’s committee. It was only the minor technicality of him not actually speaking Hungarian that led the city authorities to step in, overrule the decision, and give Ignaz the job instead. In 1857 Ignaz was offered a position at the University of Zurich, but he declined – possibly because he was starting a family. That year at the age of thirty-nine Ignaz got married. His new wife was a twenty year old merchant’s daughter named Maria Weidenhoffer, and they would go on to have several children. The offer from Zurich did show that some people respected Ignaz’s work, and among those who bothered to study the facts the effectiveness of his methods were hard to dispute. Doctors did adopt the handwashing routine, and lives were saved as a result. What they found hard to accept were Ignaz’s conclusions – the idea that it was uncleanliness that caused infection was a tough sell to doctors who considered themselves gentlemen. A gentleman could hardly be unclean, after all. In 1858 Ignaz Semmelweis finally published a paper on the subject of puerperal fever and handwashings. His assistant had published the results from the hospitals of Pest two years earlier, to an openly contemptuous response. (The editor of the Viennese Medical Weekly described the results as more “nonsense about handwashing”.) He published another paper in 1860 explaining the differences between his theories and the English theories. (The English did realise material from one puerperal patient could infect another, but they didn’t accept that invisible cadaverous particles could infect somebody.) Then finally in 1861 he published his masterwork – the book The Etiology, Concept and Prophylaxis of Childbed Fever. Nowadays Ignaz Semmelweis’ book is considered to chronicle one of the first genuinely scientific pieces of medical research. Filled with statistics, analysis and data; it proved Ignaz’s theories through logic and deduction, and didn’t rely on baseless speculation. Naturally in the climate of medicine at the time it went down like a lead balloon. In the introduction to the book, Ignaz had commented on how people had received prizes for writing papers that did nothing but attack his work. 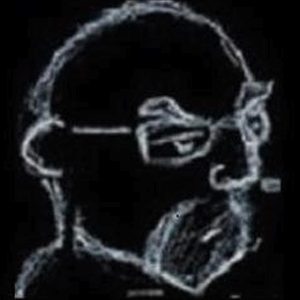 Now the medical reviewers made a sport of attacking his work, deriding the very statistics that proved his theory as “unreadable”. The poor reception of his magnum opus was what finally broke Ignaz Semmelweis. Perhaps he was already on the edge – stress, early-onset Alzheimers and even neurosyphilis have all been named as possible causes for the mental degradation that Ignaz began to suffer from 1861. Of these, syphilis is actually the most likely. Ironically the poor antiseptic procedures of the day meant that obstetric and gynecological physicians were at an extreme risk of catching the disease at some point in their career. Whatever the actual cause though, it was puerperal fever that became the focus of Ignaz’s obsession. He refused to speak of anything else, and sent viciously angry letters attacking all his critics. He called them “murderers” for not adopting his practices, and became more and more unhinged on the subject. 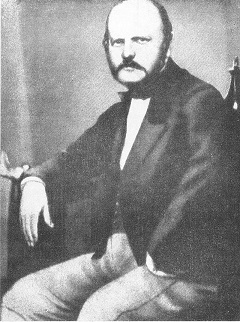 The last photograph of Ignaz Semmelweis. By 1865 Ignaz was in pieces. He had begun drinking heavily, and his behaviour was getting worse and worse. In July of 1865 it was decided by his wife and friends that he would have to be committed to a lunatic asylum. To try to prevent a scene he was invited to tour one that a friend had set up in Vienna, but he realised the ruse when he got there and tried to escape. The guards beat him and forced him into a straitjacket before throwing him in a cell. One of the wounds he received in the beating turned septic, and he fell ill. Within two weeks he was dead. The great pioneer of antiseptic practices died of blood poisoning. In the immediate aftermath of his death, the medical establishment of Europe did its best to forget that Ignaz Semmelweis had ever existed. His behaviour over the last few years of his life had alienated a lot of his previous supporters, and his death was barely mentioned in the medical journals of Europe. Without his hand at the tiller, the mortality rate in the maternity clinics of Pest increased sixfold, but this was also not acknowledged. He was buried in Vienna, the city that had shown him nothing but contempt for his having saved the lives of so many of her citizens. And everyone did their best to brush Ignaz Semmelweis and his crackpot theories under the carpet. In a cruel twist of fate, it was the same year as Ignaz died that the work that would vindicate him began. The French chemist Louis Pasteur had earlier in the decade published papers on food spoilage and wine fermentation, showing that both were caused by microorganisms too small to be seen with the naked eye. An English surgeon named Joseph Lister had read those articles and had wondered whether the same organisms were responsible for wound infections. In 1865 he began treating the wounds of patients in London with carbolic acid, which had been shown to kill these organisms, and had astonishing results. The two men continued these strands of investigation, the theoretical and the practical, resulting in Pasteur developing the germ theory of disease and Lister developing the first full antiseptic regime for surgery. By the late 1870s the germ theory and the value of antiseptic practices were now an established fact. In light of these, many began to re-evaluate Ignaz Semmelweis. His work was reappraised, and found to be solid. 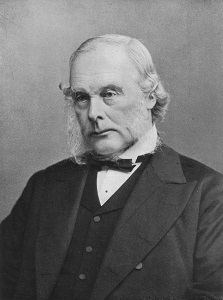 His bleach handwashing was hailed by Joseph Lister himself as a clear forerunner to his own antiseptic regime. His “cadaverous particles” were found under a microscope, and identified as bacteria that fed on decaying flesh. His refusal to abide by “established” wisdom was now seen as a proud stand for empirical scientific research. Even his reaction to the rejection of his theories was simply the understandable anguish of a man seeing tens of thousands of lives being thrown away needlessly. Nowadays the university in Pest where Ignaz Semmelweis used to teach is the Semmelweis University. His old childhood home is the Semmelweis Medical History Museum. There are several hospitals named in his honour – even Vienna has a Semmelweis Clinic. The story of a tortured man being rejected by the establishment despite being right was a natural fit for tragic drama, of course, and several films based on his life have been made. Ignaz Semmelweis had his flaws. He lacked people skills, for sure. But he saved hundreds of women’s lives, and he sacrificed his sanity and life trying to save tens of thousands more. The world would be a better place if it had more people like Ignaz Semmelweis in it. The correct spelling of his name in Hungarian would be Ignác Fülöp Semmelweis, but for simplicity’s sake we’ll be using the anglicized spelling.